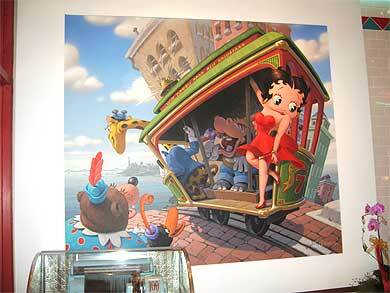 Well, it’s been an odd and interesting weekend, cartoon-wise. 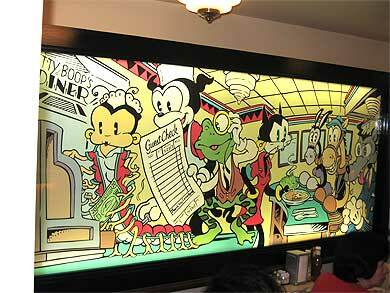 I had lunch at one Fleischer-themed restaurant, a couple of miles from my house–and learned that another such establishment existed decades ago. 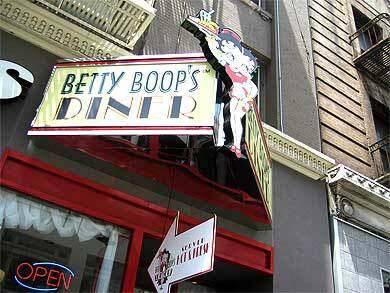 I wrote about Betty Boop’s Diner in Union Square back in February, and ate there shortly thereafter–and found the experience so unremarkable that I forgot to report back here. The Boop theming seemed half-hearted, and the menu consisted of generic fast food. Big whoop. Then I learned that the restaurant’s grand opening happened in June, months after I ate there, and involved a visit by Betty herself, along with a couple of (living) Fleischers. And King Features’ press release about the diner mentioned a Koko’s Chicken Sandwich.I began to wonder if I’d eaten there when the restaurant was in an unfinished state. 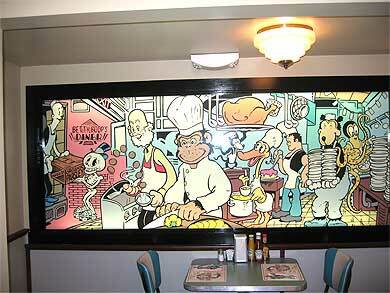 One last thought: Why is it that all cartoon-themed restaurants feature characters owned by King Features? It seems that way, anyhow: When I was a kid in Portland, there was a chain featuring another character who appeared with Betty in one short, Otto Soglow’s Little King. (Sadly, I have no memory of eating there.) 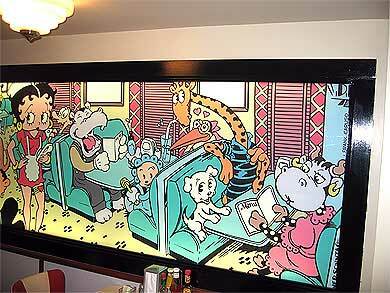 And Blondie scribe Dean Young has, inevitably, founded a chain of Dagwood’s Sandwich Shoppes. I just came across your blog on September 14, 2010. 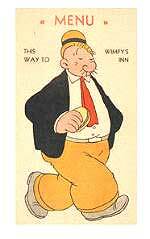 I realize that this entry was written over four years ago — but I thought that I could add some insight about Wimpy’s Inn. 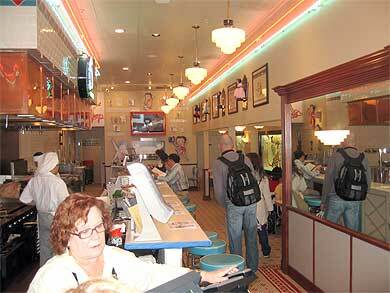 There were actually two Wimpy’s Inns in the Bay area. 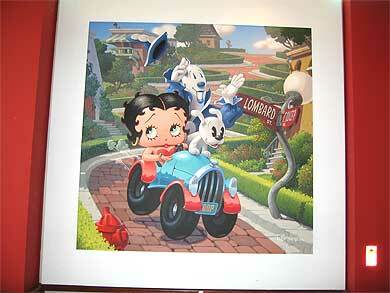 The original location was the one on Haight Street. There is a Memphis style BBQ in that location as I write this. The second location was on Fourth Street in San Rafael. 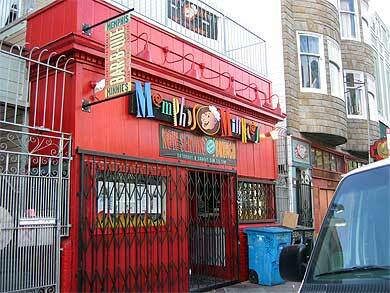 The Haight Street location was owned by my uncle Walt Schoch (actually my great uncle). He started the restaurant sometime in the late 1930’s. In 1939, my grandfather Adolph Schoch joined him in 1939 and opened the San Rafael location. Both men were the sons of Swiss immigrants who originally settled in New Jersey. These restaurants were not related to the British chain. I think that they just “borrowed” the trade mark. Hope someone finds this interesting! I have a ca. 1940 menu from the Wimpy’s Inn at 875 Fourth Street. The caption on the inside of the menu reads, “The Only Wimpy’s Inn.” I wonder if they closed the one on Haight Street sometime after the new location at 875 Fourth Street in San Rafael got on its feet.